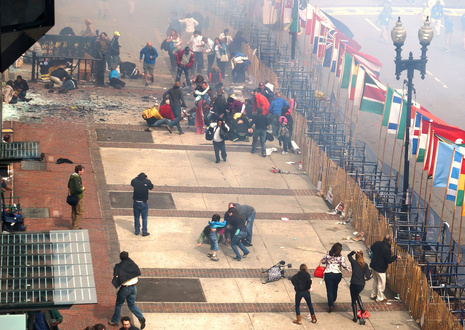 On April 15, 2013, two pressure cooker bombs exploded during the Boston Marathon at 2:49 pm EDT, killing 3 people and injuring an estimated 264 others. 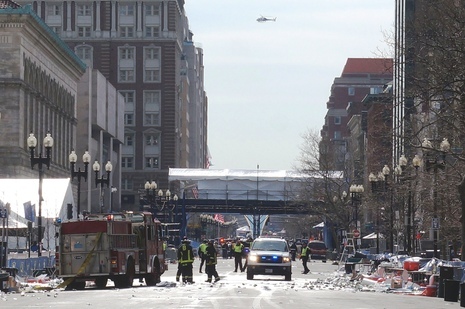 The bombs exploded about 12 seconds and 210 yards (190 m) apart, near the finish line on Boylston Street. The Federal Bureau of Investigation (FBI) took over the investigation, and on April 18, released photographs and surveillance video of two suspects. 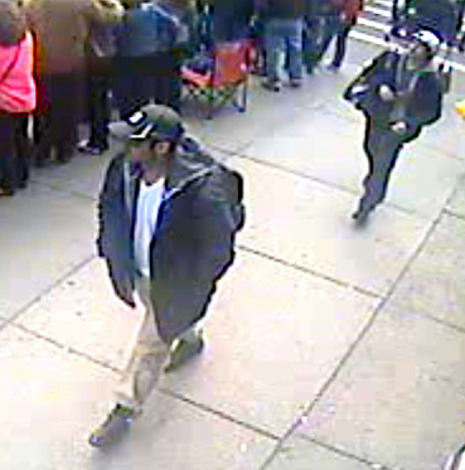 The suspects were identified later that day as Chechen brothers Dzhokhar and Tamerlan Tsarnaev. Shortly after the FBI released the images, the suspects allegedly killed an MIT police officer, carjacked an SUV, and initiated an exchange of gunfire with the police in Watertown, Massachusetts. During the firefight, an MBTA police officer was injured but survived with severe blood loss. Tamerlan Tsarnaev was shot by police and then run over by his brother Dzhokhar and died. 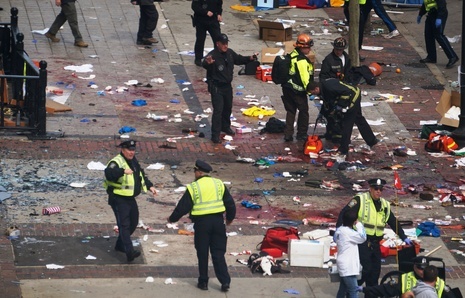 Dzhokhar was injured but escaped. An unprecedented manhunt ensued on April 19, with thousands of law enforcement officers searching a 20-block area of Watertown. During the manhunt, authorities asked residents of Watertown and surrounding areas, including Boston, to stay indoors. The public transportation system and most businesses and public institutions were shut down, creating a deserted urban environment of historic size and duration. Around 7 pm, shortly after the "shelter-in-place" advisory was rescinded, a Watertown resident discovered Dzhokhar hiding in a boat in his back yard. Tsarnaev was arrested and taken to a hospital shortly thereafter. During an initial interrogation in the hospital, Dzhokhar alleged that Tamerlan was the mastermind. He said they were motivated by extremist Islamist beliefs and the wars in Iraq and Afghanistan, and that they were self-radicalized and unconnected to any outside terrorist groups. According to him, they learned to build explosive devices from an online magazine of the al-Qaeda affiliate in Yemen. He said that he and his brother had decided after the Boston bombings to travel to New York City to bomb Times Square. Dzhokhar was charged on April 22, while still in the hospital, with use of a weapon of mass destruction and malicious destruction of property resulting in death. He has pleaded not guilty to 30 charges.